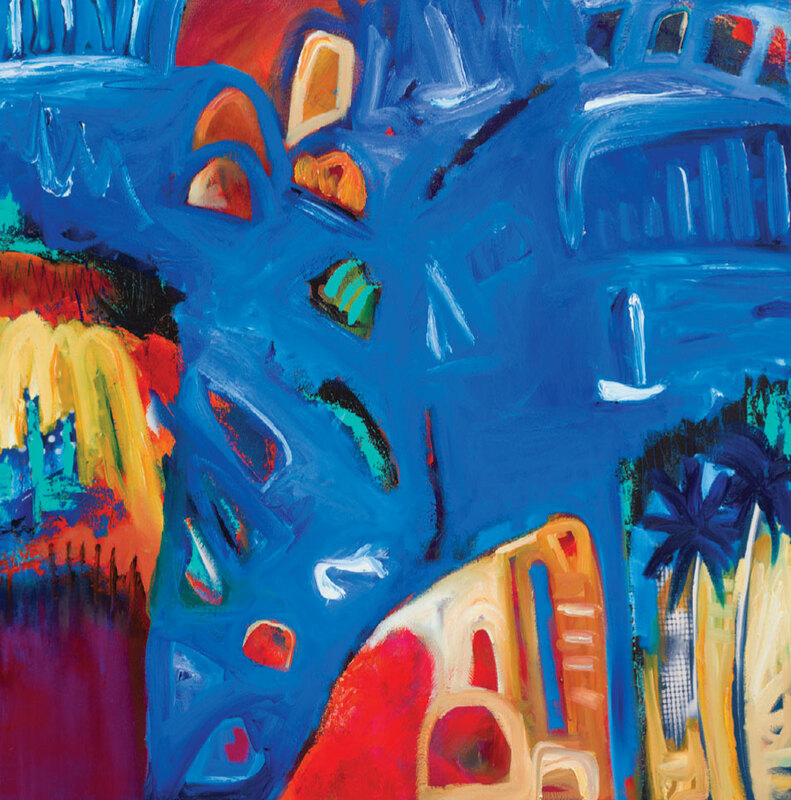 Australian painter landscape as a whimsical site of abundance – using a vibrant, Jayne Rolinson depicts her native, tonal palette of pool blue, electric orange, and deep red acrylic paints. 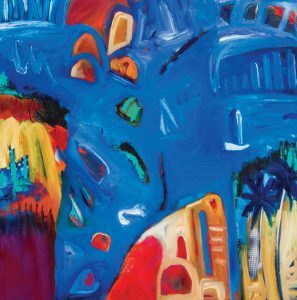 The artist paints from memory, capturing the dual beauty and severity of the harsh Outback terrain with imagination and discernable passion. 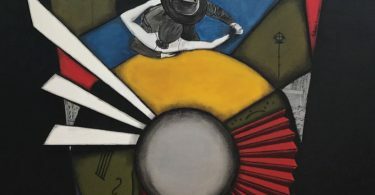 Energy, texture, and depth emanate from her canvases, which are layered with local histories and personal remembrances. Painting intuitively, Rolinson conveys her reverence for nature while also capturing the moods and changing seasons of the Australian landscape. As evidenced in her paintings, Rolinson feels a raw and lasting connection to the natural world. Using a complex and symbolic collection of signifiers, the artist compresses the picture plane and eliminates the notion of illusionistic space. After creating gestural, painterly strokes of bold pigments in acrylic, Rolinson then layers oil on top to create textured surfaces that are endless in their possibilities. Spontaneously painted in rapid strokes, her bright, cheerful, abstracted compositions are deeply emotional responses to her surroundings. The artist’s unbridled imagination reveals the innate beauty and hidden secrets of the rugged, Australian landscape and the people who inhabit it.